Upon reclaiming the Temple, the Maccabees had to re-purify it, beginning with re-lighting the “eternal light” with oil. This special light was meant to never go out, but throughout the area, only one small jar of kosher oil could be found. They used the oil, even knowing it would only last for one day. According to legend, however, the oil continued burning for eight days: the same amount of time it would take for someone to travel and bring back more oil. This particular story did not actually appear in the Talmud until hundreds of years after the re-dedication of the Temple, but lighting menorah candles has come to be a major part of how Jews celebrate the Maccabean revolt. Not from a scientific point of view, of course. But because they were made in the land where the First and Second Temple were built, and where the Maccabees defeated the Seleucid Empire and re-dedicated the Temple, hence lighting a menorah with Chanukah candles made in Israel is more meaningful. 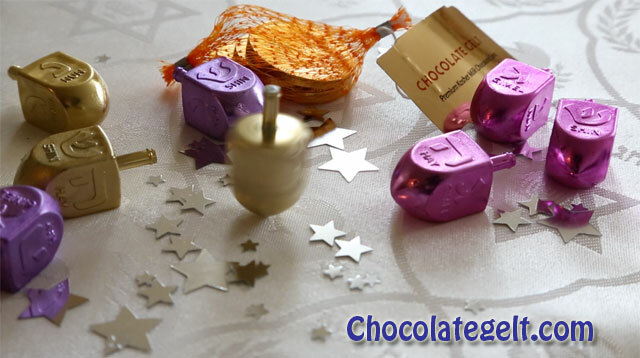 Many varieties of Hanukkah candles available from ChocolateGelt.com, which range from the inexpensive to the beautifully hand-decorated and Israeli-made. 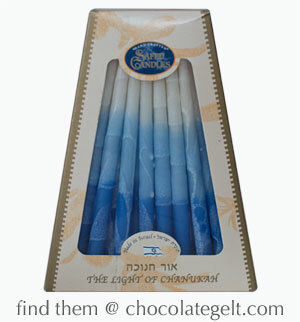 All their menorah candles ship from New York City, nationwide. Get yours just in time for Hanukkah. Currently viewing:Why Do Jewish Housholds Light Menorah Candles for 8 Days?